New unissued condition, standard British DPM camo pattern. This example is size 56cm head circumference. 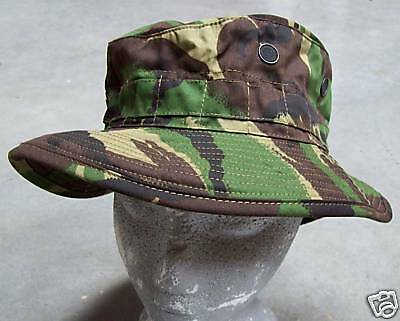 This is a latest issue jungle boonie hat, as worn by UK forces on tropical and jungle operations.